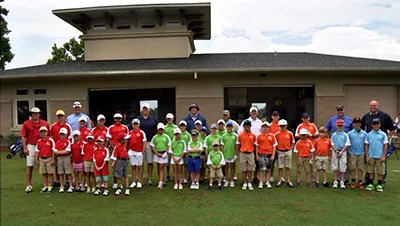 The Rob Noel Golf Academy Junior Champions Academy uses two tools to measure progress for FUNdamentals and Developmental Programs. - Hats will be used to monitor golf skill. - Bracelets will be used to monitor athletic development. 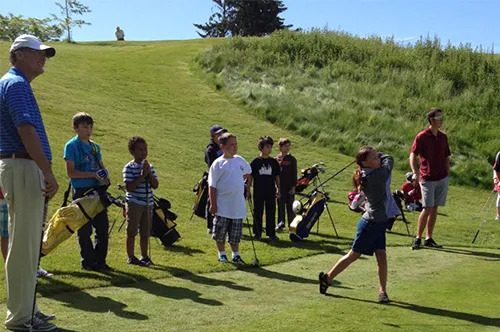 This system allows the Academy to advance kids through the first four phases of development: Active Start, FUNdamentals, Learn to Play, Train to Play, using objective criteria and a developmental mind-set. We use a 9 hat-level color system to assess golf skills. Hats will be earned in order of red, white, blue, gold, and finally black. This color system resembles the teeing system in most golf courses. In addition, we will use colored-bills to signify moving closer to the next hat-level. We also use the same color system for our bracelets to assess athletic development. Bracelet colors and hat colors will not always be the same for each student as golf/athletic development progression may vary in many cases. 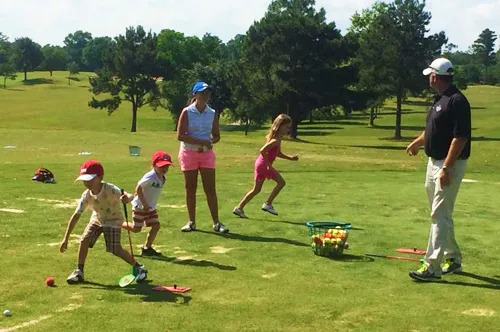 Junior Golfers will be evaluated on 7 building blocks or proficiencies and depending on how they perform, they will be placed into a certain hat/bracelet color.